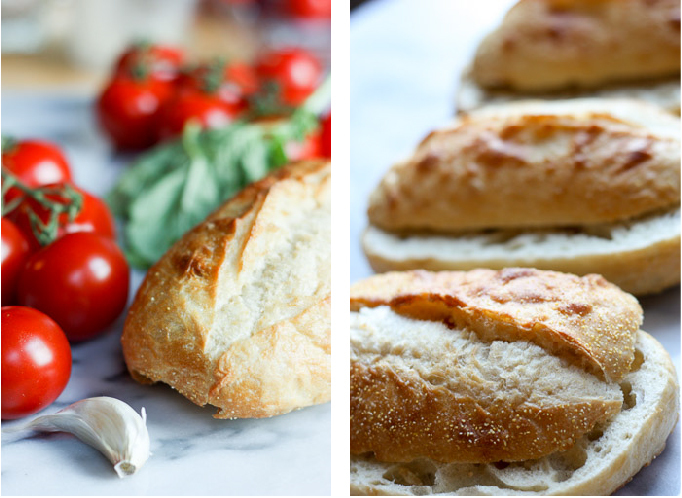 Let’s pretend we’re in Italy, specifically, Florence. We’ve just spent a morning copying statues in the bust room at the Galleria dell’Accademia and now we’re heading back to the river for a quick lunch at home. The sun is beating down on our heads and shoulders as we hurriedly navigate between throngs of slow moving tourists and zippy motorbikes. After saying hello to the nice man that runs the gyro shop downstairs, we climb 4 stories in an unconditioned stairwell and unlock the mess of bolts and contraptions to our apartment. Finally, shoes are off and we’re in the kitchen. There are no leftovers in the fridge or frozen meals to microwave. 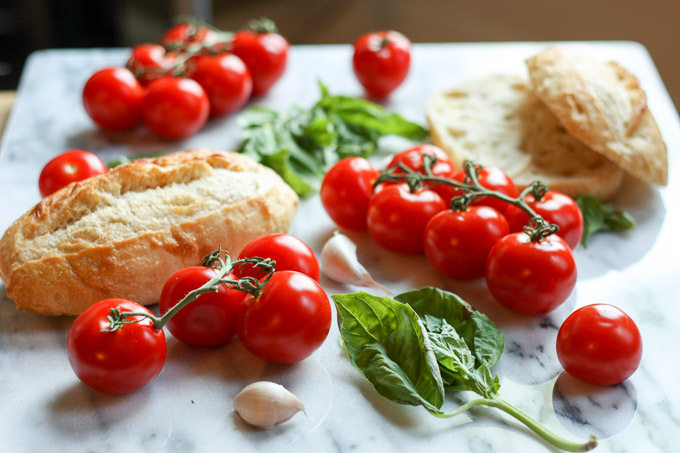 All we have is stale bread and a bunch of vine ripe tomatoes. Perfect! 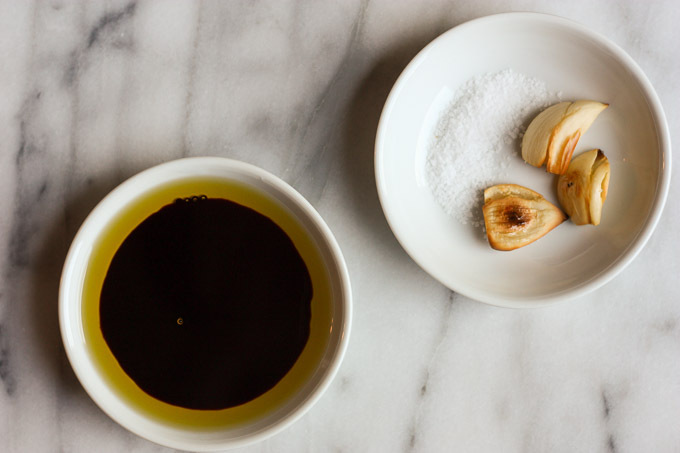 We’ll make Roasted Garlic Panzanella. OK so this wasn’t the first time I had panzanella. The above story did happen, but usually I was too lazy to go back to the apartment that was all the way by the Arno. It’s more likely I had gelato for lunch! The first time was actually at a friend’s house in St. Louis. She was running the marathon tomorrow and had made this spectacular and simple dish to carbo load. She learned it from her dad, so I guess the credit goes to him for my panzanella introduction. Thanks Kieran’s dad! 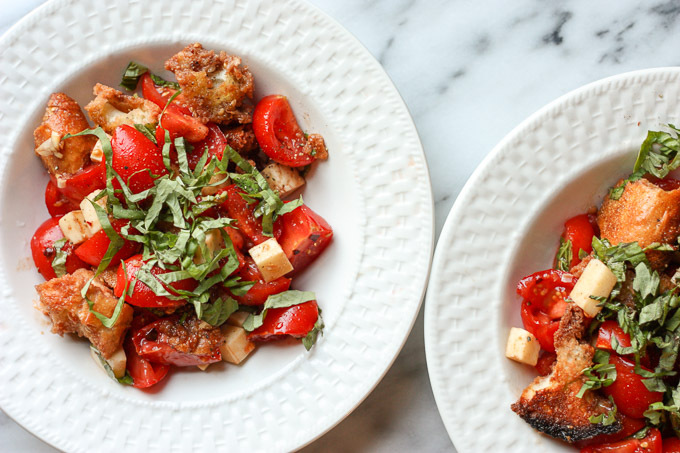 Panzanella is a Tuscan tomato & bread salad that cleverly uses stale bread as a star ingredient. Mixed with perfectly sweet and juicy tomatoes, this “salad” is more like a deconstructed bruschetta. You can also add in other vegetables, such a cucumber or bell pepper. We just happened to have tons of beautiful tomatoes so we stuck with those. The dressing is olive oil and balsamic vinegar just light enough to coat the ingredients, not drench them. We’re going to make our Roasted Garlic Panzanella a little more special with fresh mozzarella and some creamy roast garlic. 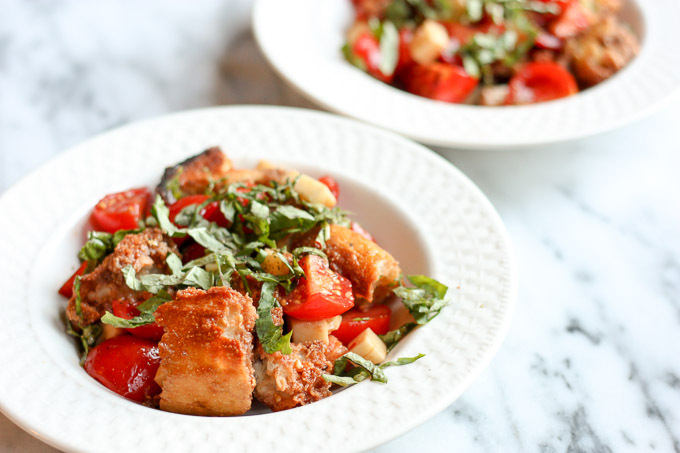 Roasted Garlic Panzanella is best to make with ripe tomatoes. If they are under-ripe, they don’t taste like much but if they are over-ripe, they become mushy and grainy. Try to find tomatoes that a will still hold up once cut. When I buy tomatoes, I like to smell them. 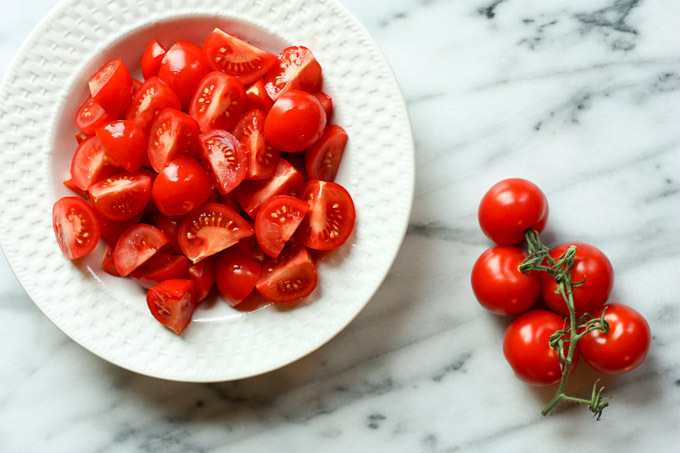 Good tomatoes will smell, well, like tomatoes! I used Campari (cocktail) tomatoes because they’re the perfect size for dicing into quarters. This way, the juice inside the tomato can come out and soak into the bread, but the tomato itself doesn’t fall apart. 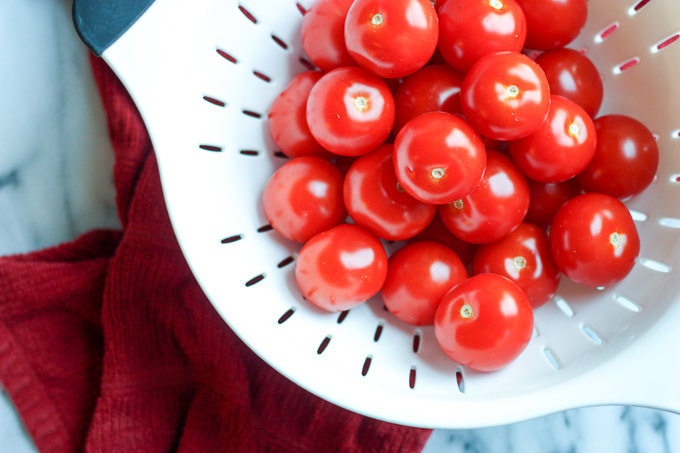 If you want to use smaller tomatoes, like cherry or tomato, just cut them in half instead. Larger tomatoes would also work, but you will most likely have to cut them smaller than quarters. Ah and we can’t forget the bread. Panzanella is best made with stale bread as the less moisture in the bread itself, lets it soak of the dressing and tomato juice instead. Awesome. We had these leftover demi baguettes from a bout of sandwich making. 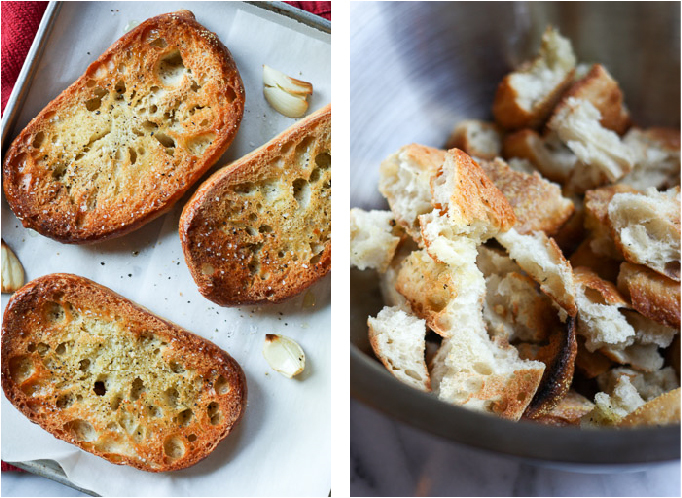 There are many ways to go about the bread toasting and cubing process so you can choose whichever one you are more comfortable with for your Roasted Garlic Panzanella. It’s hot today and I didn’t want to turn on the oven when the AC was already running, so I opted for a more low impact (lazier) method. Our tiny convection oven and toaster. I sliced the loaves in half, putting some in the toaster and the others in the convection oven. The ones in the oven got a drizzle of olive oil, salt and pepper. Once they are cool enough to touch, I rip them into bite size chunks for more rustic feel. Of course, you can cube up the bread first, toss in olive oil, salt and pepper and then bake them on a sheet tray. The cheese is optional as well for the Roasted Garlic Panzanella, but I like having it as a little bit of protein since it’s our main meal. And also because I love cheese. 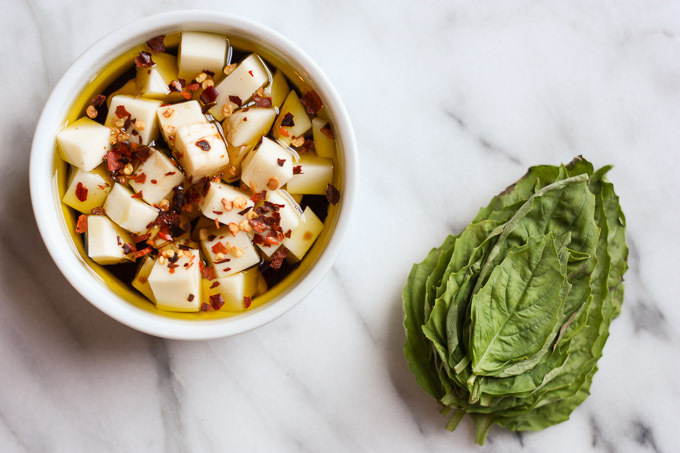 if you have the time, let the mozzarella cubes marinate in olive oil, balsamic, and red pepper flakes. This way, the cheese will have a head start when it comes to soaking up all the lovely dressing. 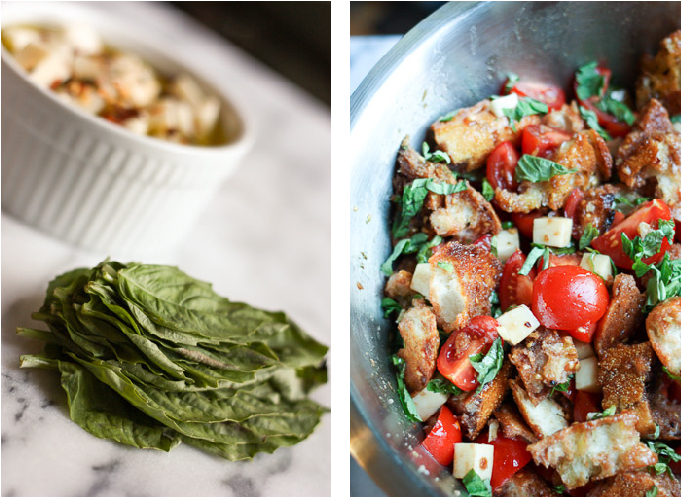 I love making this Roasted Garlic Panzanella because it is so simple and it brings me back Italy in one bite. Just the colors alone remind me of sun-soaked days, hot nights, melted gelato and the smell of musty churches and museums. But don’t take my word for it. 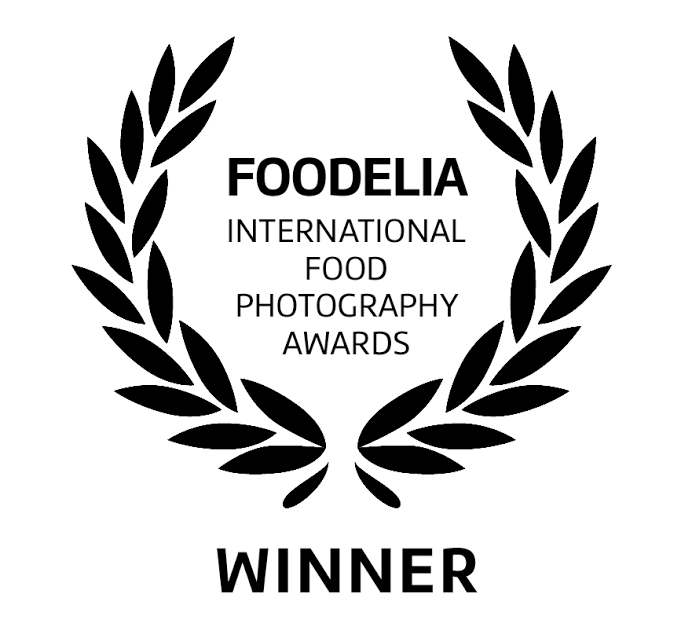 Try it out and take a mini vacation to the Tuscan countryside! Cube cheese into 1 cm pieces. Marinate in olive oil, balsamic vinegar and red pepper flakes. 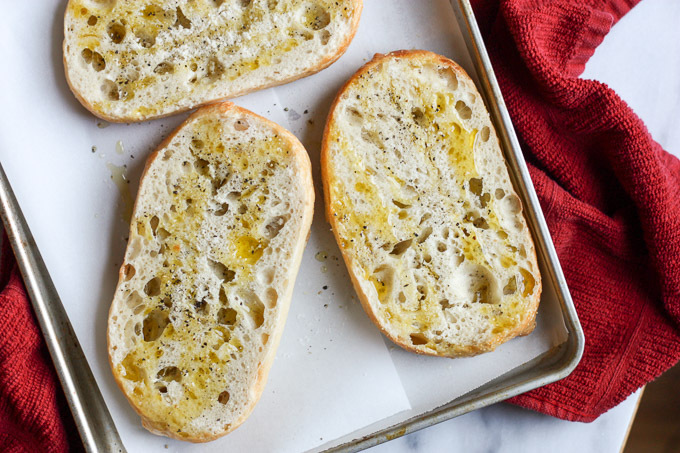 Slice bread and drizzle with olive oil. Toast bread and garlic cloves until golden brown. Tear or cube the bread. Smash up the roast garlic with salt in a mortar and pestle. Roll up basil leaves into a tight "cigar" and julienne. Toss all ingredients in a large bowl. Serve immediately or let sit to marinate further.